Death Valley has been an object of fascination for almost as long as we’ve known of its existence. But potential visitors beware! Its sweltering summertime temperatures give Death Valley its name. And this means it can be a dangerously inhospitable place to visit. If you plan on taking a trip in the coming year, you need to know when’s the best time to visit Death Valley. Countless movies and advertisements take place in picturesque Death Valley, inspiring us to see this beautiful area for ourselves. Death Valley Natural Park is a 3.4-million-acre natural wonder with canyons, mountains, sand dunes, and salt flats. You don’t want to miss seeing this stunning location in person. The park can be as beautiful as it can be dangerous, so to enjoy your vacation to the fullest, we have put together some tips and tricks before you schedule your family vacation to Death Valley. Death Valley National Park is a land of extremes: heat and cold, soaring mountains and deep valleys. It’s home to a startling variety of plant and animal life, as well. The park sits on the border between California and Nevada, behind the Sierra Nevada mountain range. It’s the largest, hottest, driest, and lowest of the national parks in the contiguous United States. Death Valley got its ominous name from a group of white pioneers who got stuck in the valley in 1849 while looking for an easy way to get to the gold mines in California. Ironically, only one person in that group died in Death Valley, but the location gained popularity, and small settlements popped up there during the 19th and 20th centuries to mine gold, silver, and borax. Death Valley became the romanticized subject of television, books, and films, and the location became a popular tourist destination as resort towns grew nearby. In 1933, the United States governement declared Death Valley a national monument, and in 1994 it became a national park after significant territorial expansion. In recent years, the park has attracted over a million visitors per year. While the Death Valley National Park is known as a winter park, it’s open and attracting visitors year-round. Since it attracts so many visitors, you’ll want to avoid the crowds so that you and your family can have the best experience possible. The all-around best time of year to visit Death Valley is between October and May. At most national parks, this is the off-season, but in Death Valley, it’s the ideal time of year. In this wide window, the least crowded time is usually between Thanksgiving and Christmas. Conversely, the winter crowds arrive in mid-January and early February. So, avoid those weeks, if you can. If you must visit during January or February, make sure you reserve your lodging or campsite early. Winters are usually mild, with the occasional rainstorm, so visitors can enjoy the temperate weather. The high temperatures typically hover around 60 or 70 degrees Fahrenheit. The winter months also usually present the most potential for activities in the Death Valley National Park due to these mild conditions. If your vacation time is in the fall, don’t despair. There’s a best time to visit Death Valley in every season. October and November are fall months, and while you may find more crowds in the park at this time of year, the park also starts to have more ranger-led programs to enjoy. The temperatures begin to cool down in October, and the highs during the day should be around 90 degrees F. In November, they drop to the 70s. You’ll still need your sunscreen and water bottle, but the heat won’t be as severe as in the summer months. This is the season to go on guided tours and hikes through the park. In the fall, there’s an annual festival to commemorate the 1849 discovery of Death Valley by the group settlers who tried to cross it. Spring in Death Valley is the best time to see the abundant wildflowers. March and April are when the flowers are at their most spectacular, and if you visit during these months, you’ll see a blaze of natural beauty. Visiting in early March may allow you to miss most of the crowds during peak wildflower season. In the spring, temperatures will top out between 80 and 90 degrees. Hiking is extremely popular during this time of year. You can even take a guided tour of the most spectacular spots for wildflower viewing. Visiting Death Valley in the summer is not ideal. Temperatures are at their highest, and you’re encouraged not to linger in the lowest parts of the valley past 10 a.m. As early as May, temperatures can soar to 100 degrees, and by July, the daytime temperature can be as high as 116 degrees or higher. The benefit of visiting Death Valley in the summer is avoiding the crowds, which should thin out by May. Visiting during late May or early June will ensure that you’re able to see the end of wildflower season and miss the springtime tourist rush. Make sure you plan all your sight-seeing for early in the morning or near dusk. No matter what time of year you visit Death Valley you’ll have to prepare for all the potential weather conditions you’ll encounter. Take into consideration the different elevations of land across the park. Also, remember that at the higher elevations, conditions may greatly differ from conditions in the deepest part of the valley. We’ve collected some travel tips and tricks to help you make your trip to Death Valley pleasant no matter what time of year you go. Whenever you decide to visit, it will be the best time to visit Death Valley if you prepare properly. Sand Dunes: The sand dunes of Death Valley provide near endless options for photography and fun. Try sandboarding on the Mesquite Flat Dunes – and get some good action shots! Badwater Basin: The Badwater Basin is possibly the most well-known area of Death Valley, where hundreds of photographs have been taken and movies filmed. Take your own artistic photos of the gorgeous and unearthly landscape. The Devil’s Golf Course: The Devil’s Golf Course is an incredible salt pan in Death Valley, where the terrain looks almost alien. Explore the area and your creativity as you photograph this bewitching landscape. Zabriskie Point: Zabriskie Point is a great place to get some good shots of stunning rock formations with the Badwater Basin in the background. Visit at sunrise or sunset to get pictures of the colorful rocks with contrasting shadow. Dante’s View: This high point is a perfect scenic overlook where you can photograph the entire valley in its glory. Your vacation memories will be even more spectacular when you’re able to capture images of your experiences of the desert scenery. Death Valley is a fascinating and beautiful landscape filled with extremes. The different landscapes in this immense national park are subject to weather conditions that will test the hardiest outdoor enthusiast. If you plan on visiting Death Valley at any time of year, make sure you prepare for the elements. The summertime temperatures can become particularly challenging for you if you’re not used to them. Water: In the heat of the summer, drink a gallon of water, at a minimum. If you feel lightheaded or nauseated, get out of the sun right away — you are dehydrated. Start drinking water and cool off your head and neck with a wet cloth. Shoes: Wear shoes that encase and protect your feet. Proper footwear is essential in a place where temperatures more than 100 degrees can heat the ground enough to burn your bare feet. Sun Protection: If you know you’ll get exposed to the sun in Death Valley, wear a hat and don’t forget to wear sunscreen. Make sure you wear at least SPF 30. Road Safety: Drive carefully over the gravel roads, obeying all speed limits and road signs. If you have an accident or a flat tire in Death Valley, do not leave your car. Call for assistance and remain inside your vehicle until help arrives. If you need to leave the car for any reason, don’t linger outside. Hike Responsibly: While it’s not impossible to hike during the summer in the park, you should avoid hiking in the valley after 10 a.m. If you want to continue hiking during summer, stick to the higher elevations, bring plenty of water, and don’t forget your sunscreen. 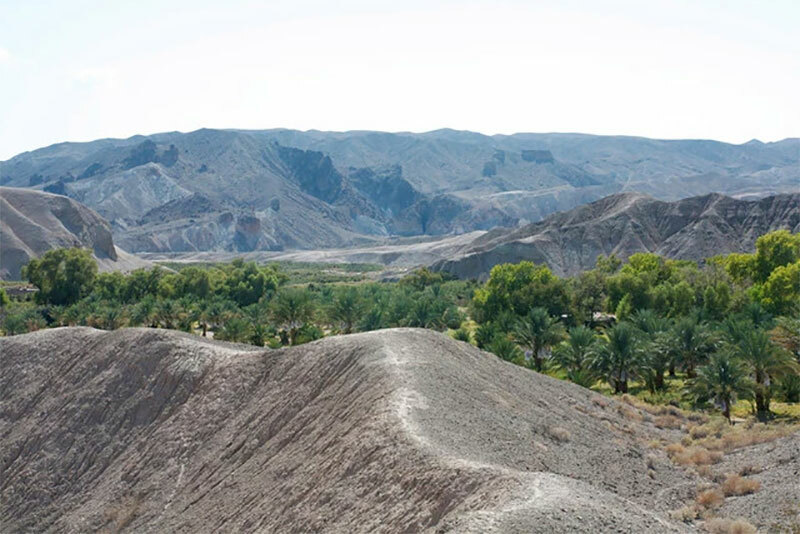 While experts would tell you not to spend a lot of time outdoors in the heat of the summer in Death Valley, you certainly may do so, provided you follow the basic precautions outlined above. You can make sure that whatever time of year you choose to visit the park is the best time to visit Death Valley.